I realize that, for most people, cream-pies are not the Thanksgiving-est of desserts. They are for my family, however, since I began making them sometime in the mid-1980’s. Every year, I am mandated to make my chocolate cream pie which is delicious, and usually, a banana cream but neither of those are actually my favorite. 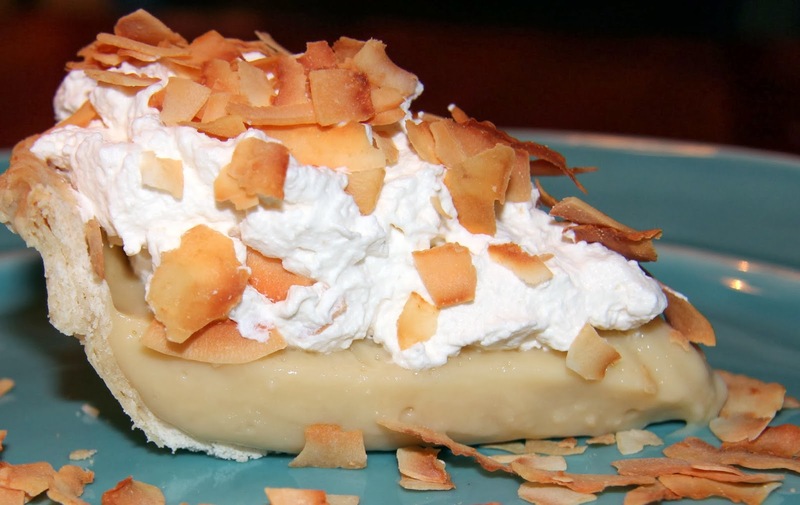 Coconut cream pie is my favorite, which is quite a statement from a die-hard chocoholic like me. Years ago, Bob’s stepmom, Metze, took us to a cafe in Oakland, OR and I had the coconut cream pie. It turned out to be the best slice of pie I’d ever eaten and I was hooked. I’m a little picky about it though so this recipe is slightly different than most. 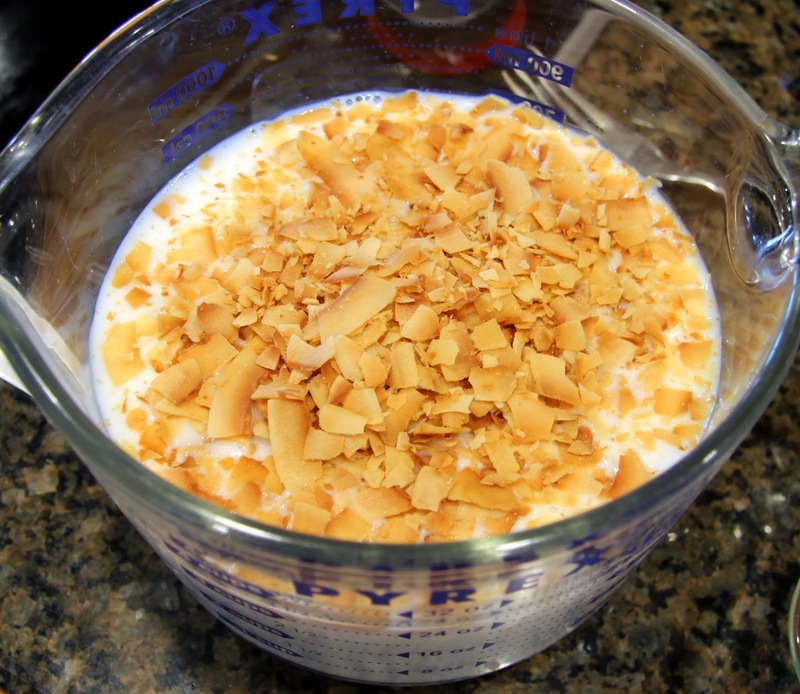 You see, while I love the flavor and texture of crispy toasted coconut, I’m not so fond of the soggy texture of the coconut that is usually caused by the custard filling. 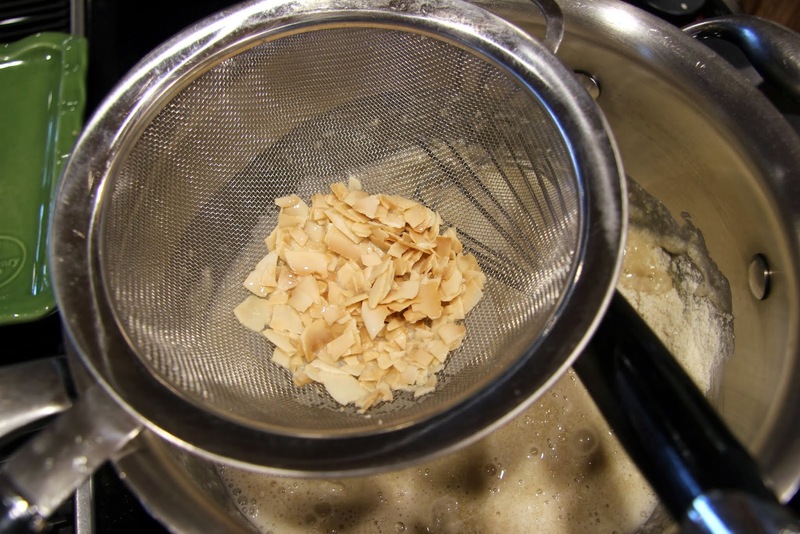 I’ve solved this issue for myself by steeping toasted coconut in coconut milk then straining and discarding the coconut before making the custard filling. This adds a lovely flavor without the texture. I save the remaining toasted coconut to top the pie just before serving so it doesn’t have time to lose its crispiness. By all means, if you like the texture of the coconut in the custard, add it back in at the end with the vanilla and butter. 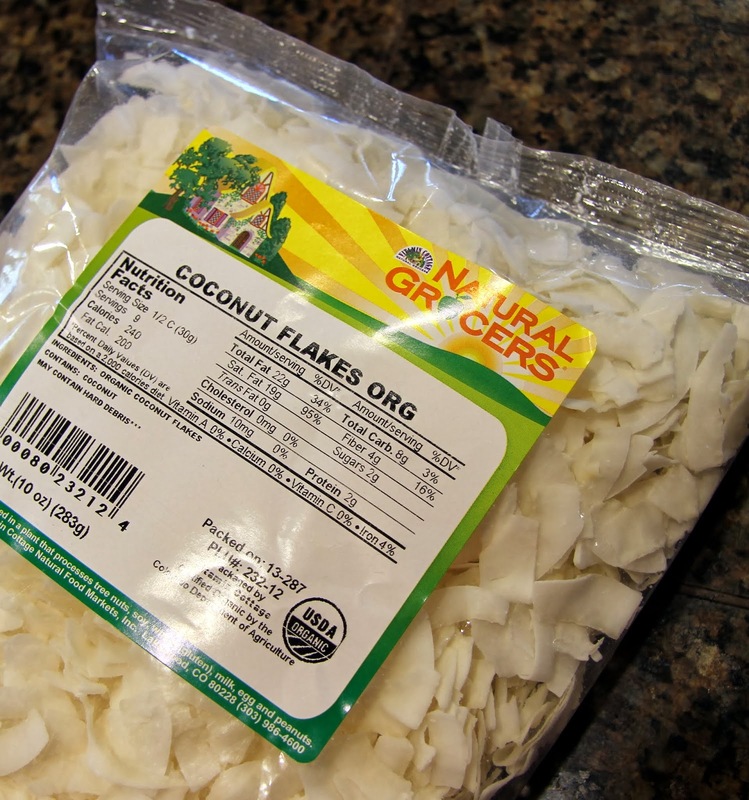 I like to use the larger flakes of coconut that you might find in the bulk or natural foods section of your grocery store. If you can’t find them or if you prefer, you can use the smaller flakes, just make sure they are unsweetened. 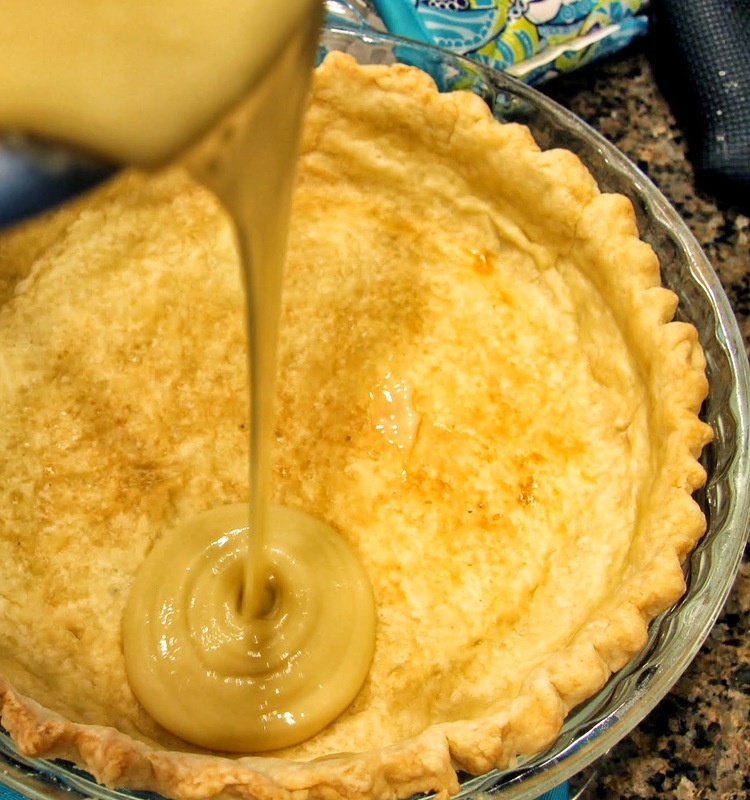 Make your pie crust or bake the one you bought. 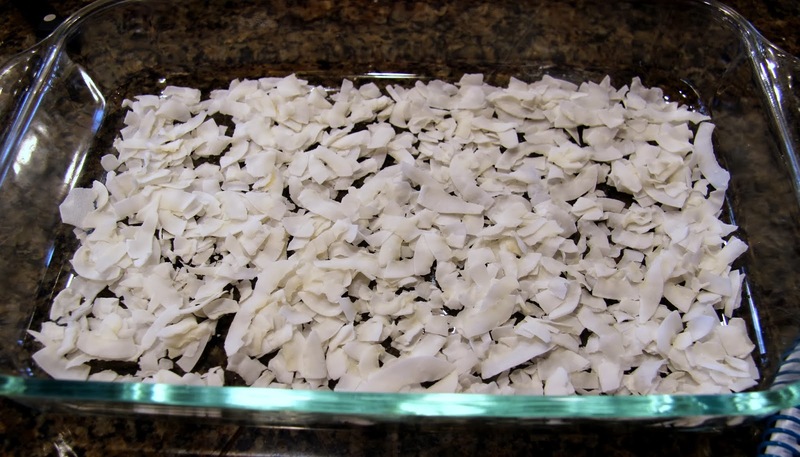 Spread coconut in an even layer in a 9×13 inch pyrex pan or half sheet pan. Toast in preheated oven for 10 -12 minutes, until golden brown. 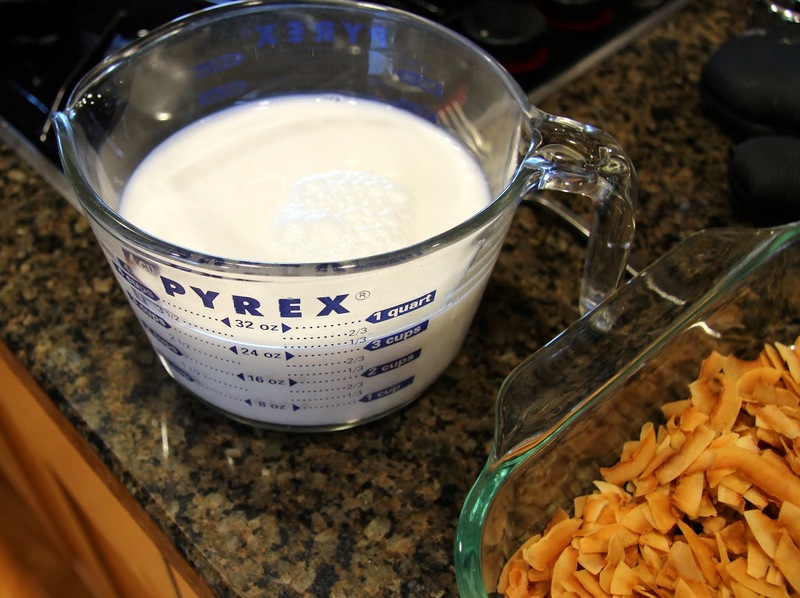 Measure out 3 cups coconut milk. 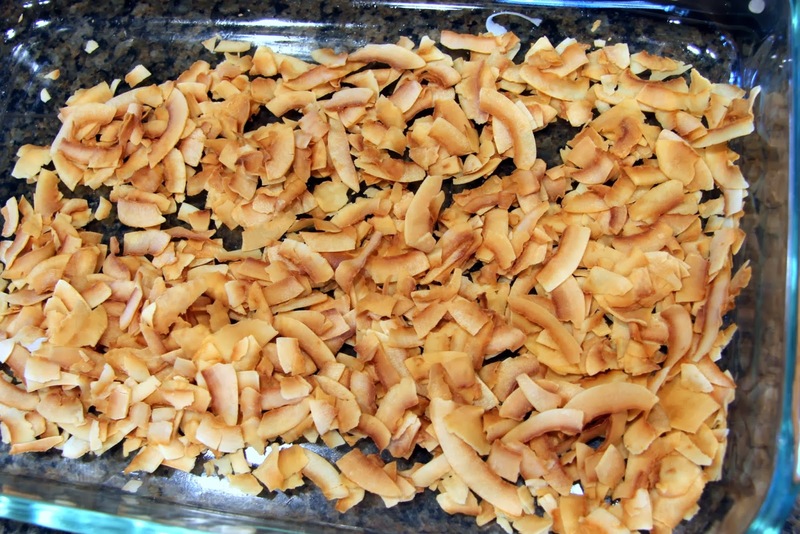 Stir in 3/4 cup toasted coconut flakes while they are still hot. 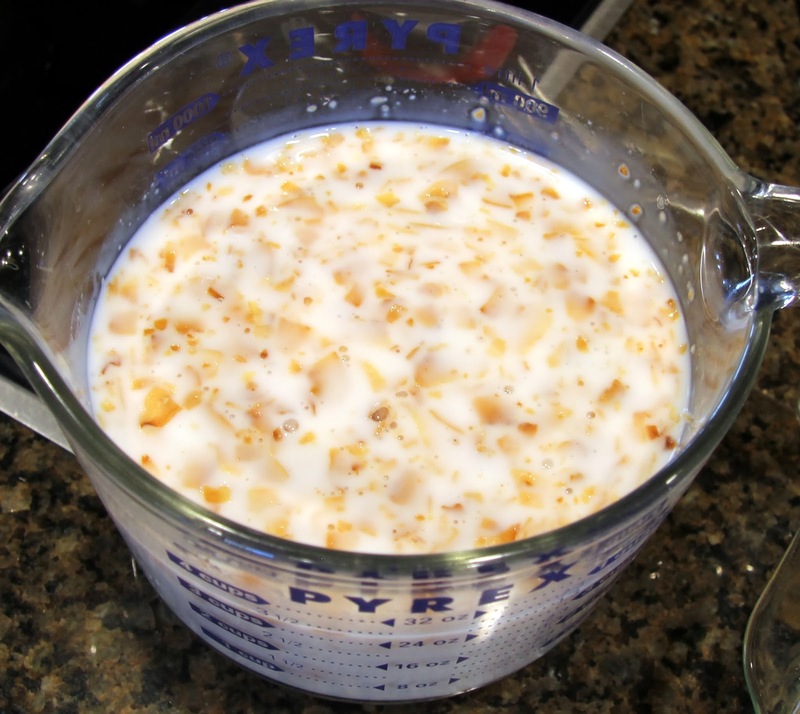 Steep flakes in the milk for at least 30 minutes at room temp. You could stick it in the fridge if you want to do it a few hours ahead of time. 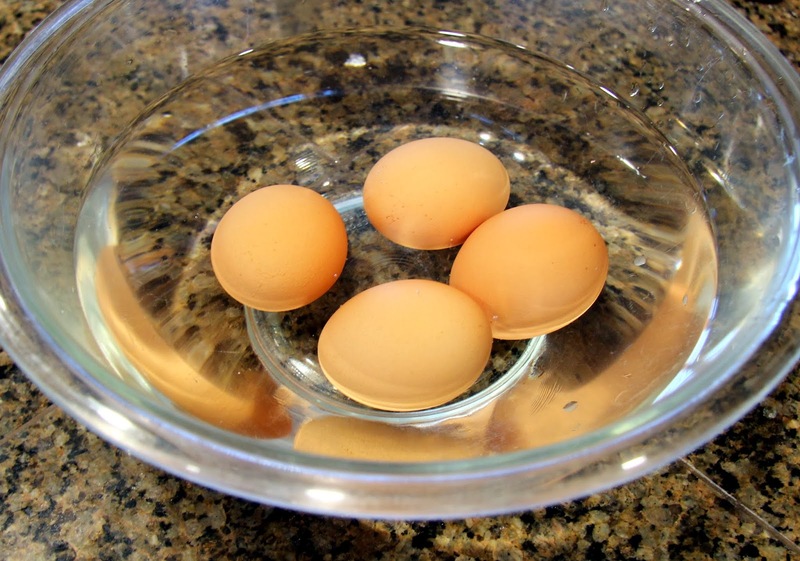 Place cold eggs in a bowl of warm (not too hot) water for 10 minutes or so to make them easier to separate. I separate them right in my hand but if you want to use the shell to shell method that works too. 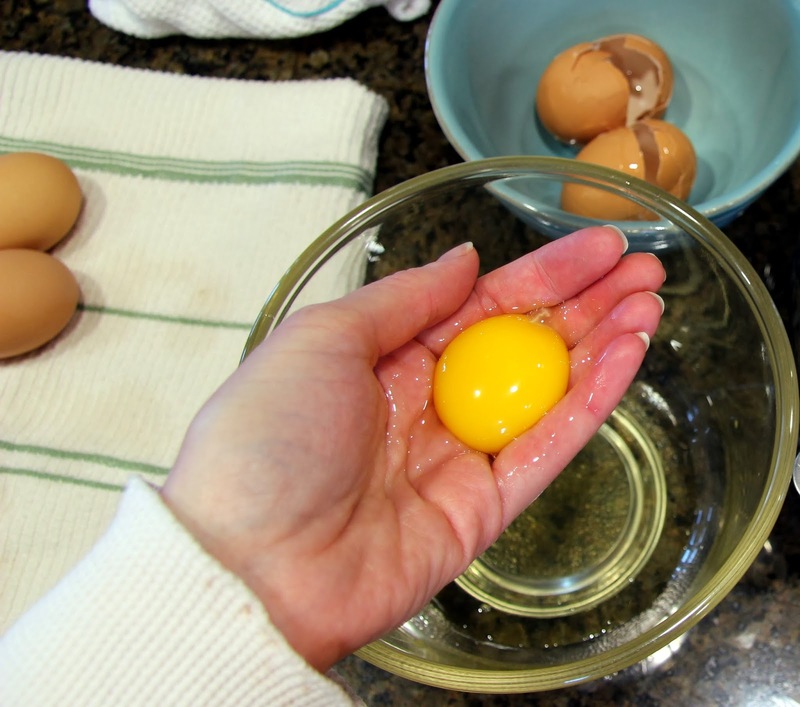 Set the yolks aside in a medium-size mixing bowl and cover them with plastic wrap so they don’t develop a “skin” while they wait. Refrigerate the whites for later use in a frittata or some such thing. 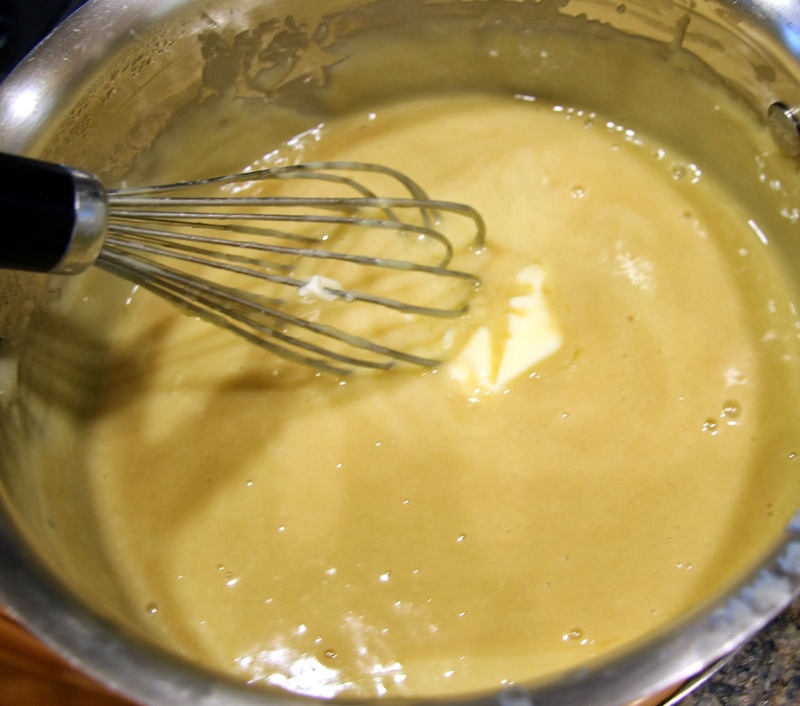 In a large saucepan, whisk together flour, sugar, and salt until combined. 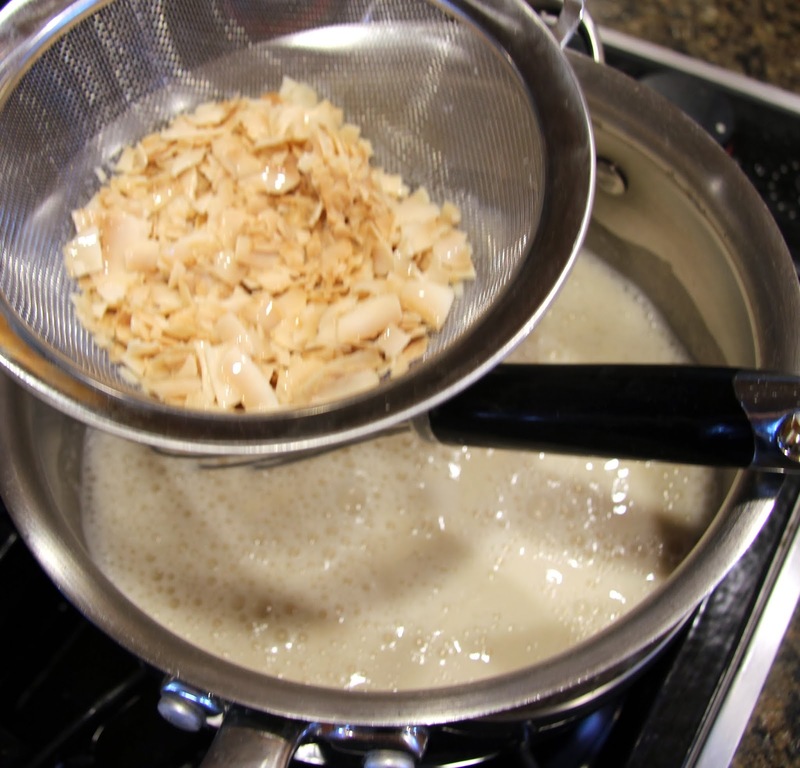 Gradually add coconut milk, straining out coconut flakes. 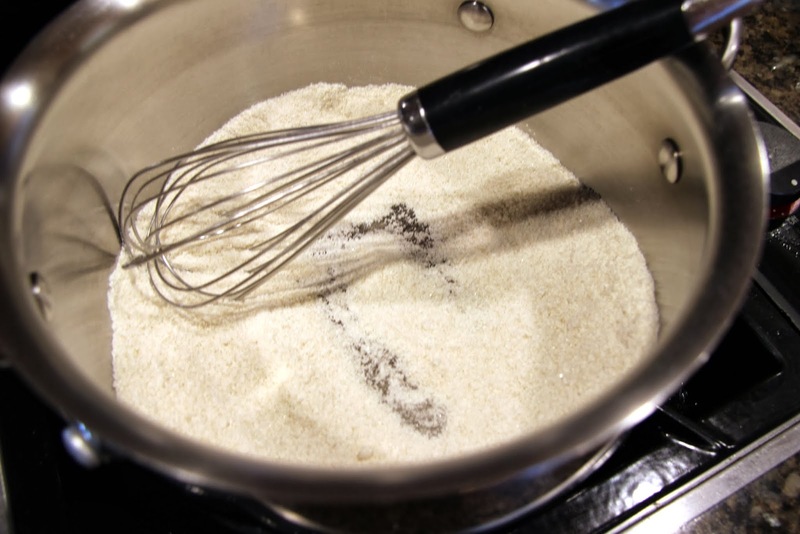 It’s important to add just a little bit of c. milk, about 1/2 cup, at a time and whisk it in with the flour mixture until completely smooth before adding the next 1/2 cup, then repeat until all the c. milk is added. This will ensure a non-lumpy custard. 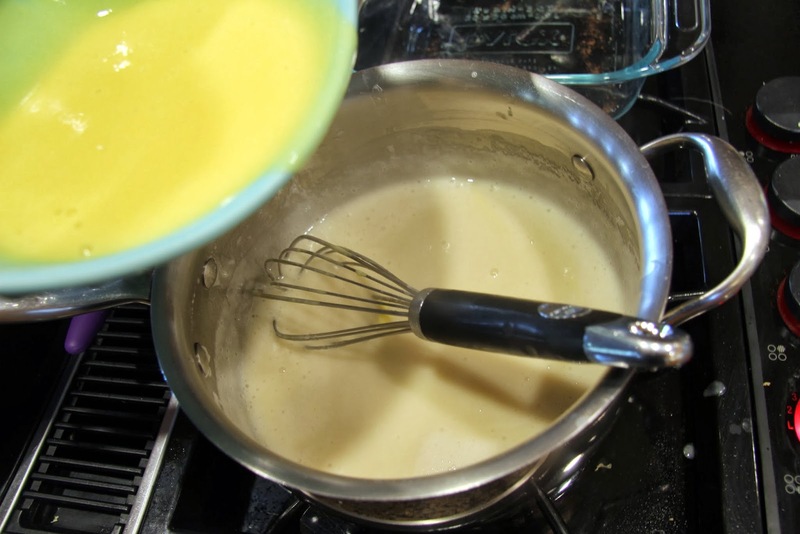 Turn the stove burner on to medium heat (once you have half the c. milk added) and cook until the mixture comes to a low simmer and starts to thicken, stirring almost constantly. It should coat a spoon when tested. 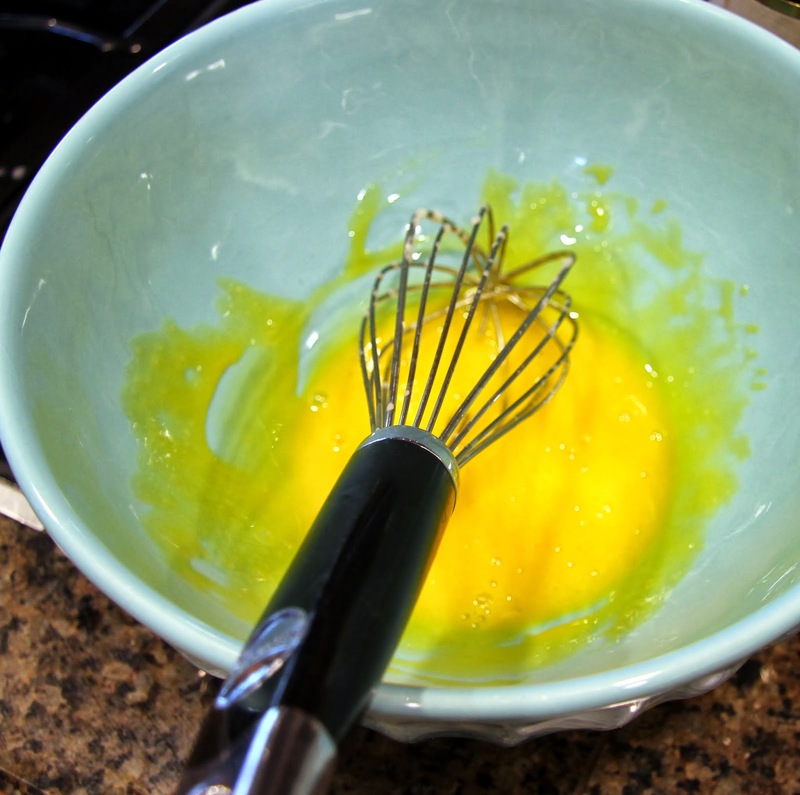 Whisk the egg yolks to combine them. 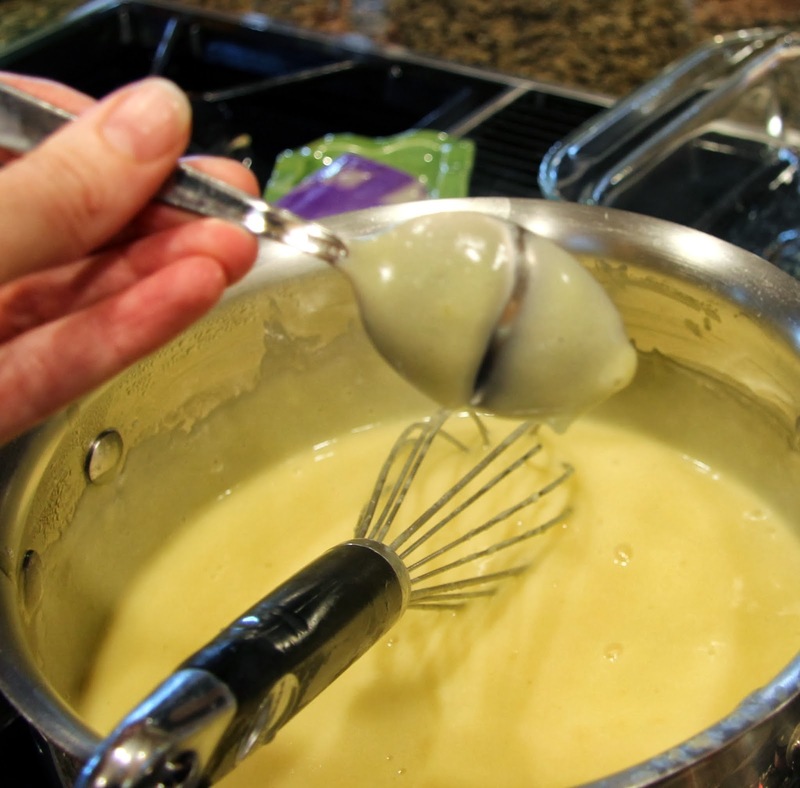 To temper them so they don’t curdle when added to the hot milk mixture, very slowly add 1 cup of the hot milk mixture to the yolks, whisking constantly. 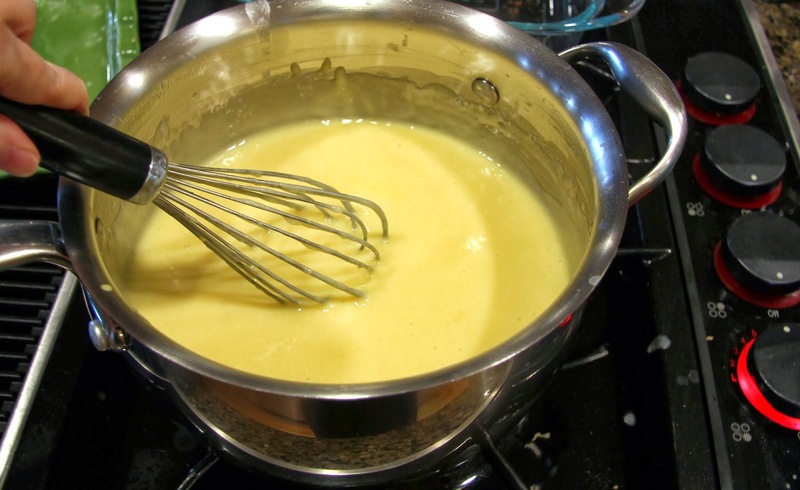 Slowly, still whisking constantly, add 1 more cup. This should do it. 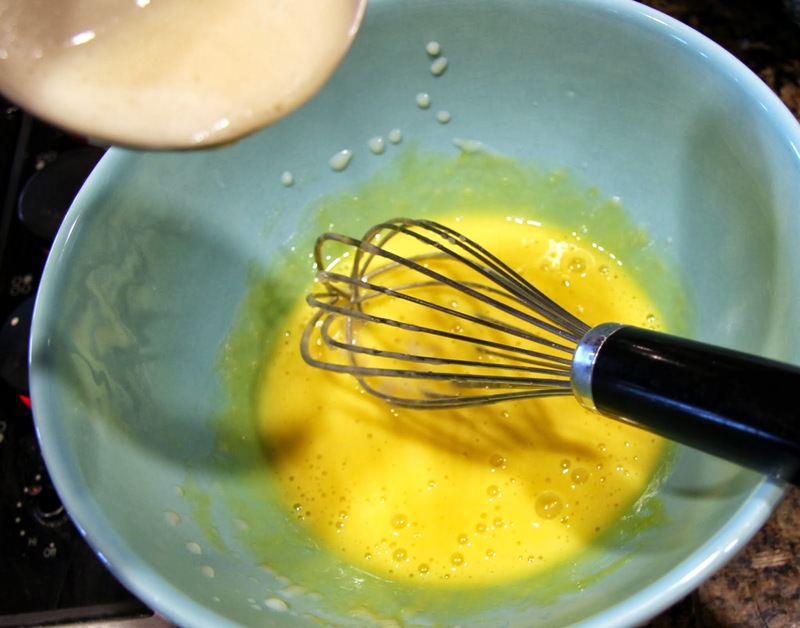 Add egg yolk mixture to hot milk mixture, whisking constantly. Cook on medium heat, at a low boil, for about another 5 minutes. You should be able to run your finger through it on the back of a spoon and it should stay that way, otherwise, it’s still too thin and needs to cook some more. Remove from heat, add vanilla extract and butter. 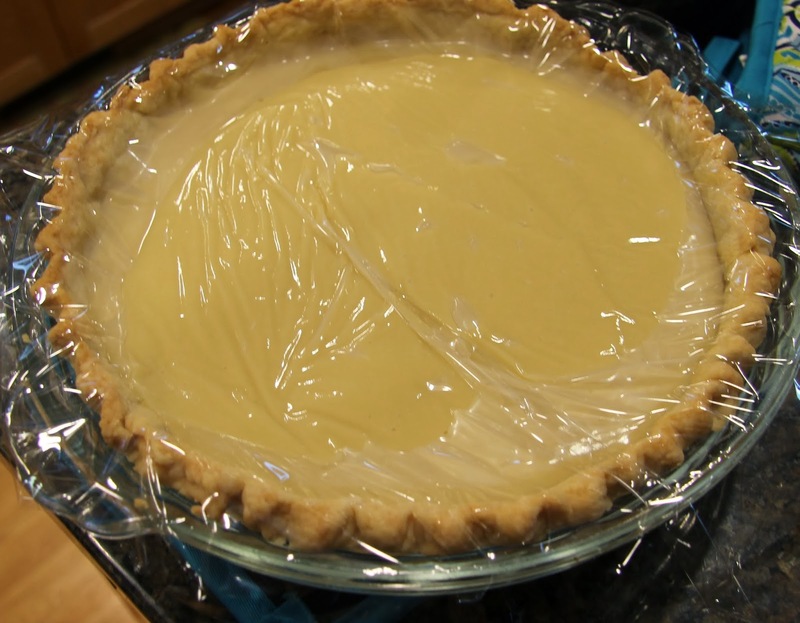 Allow it to cool slightly before pouring into the pie crust. Cover and refrigerate for at least 4 hours to allow it to set. Top with copious amounts of whipped cream and the remainder of the toasted coconut just before serving. 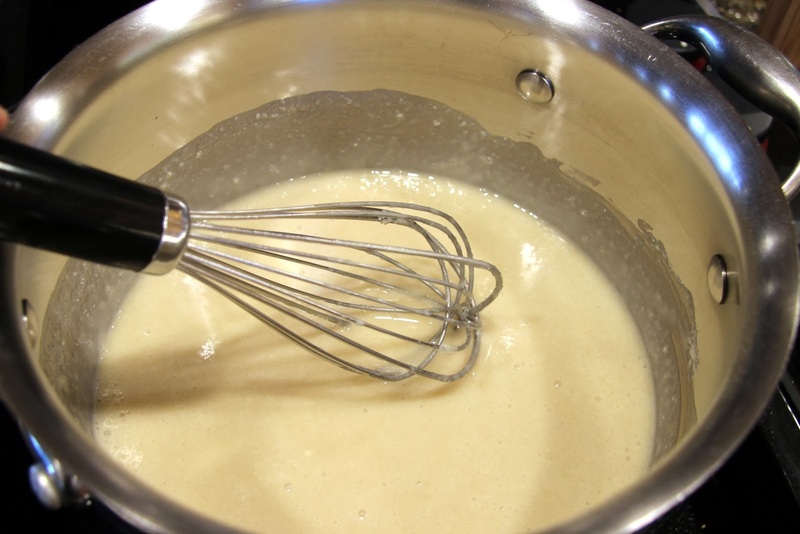 If you’ve never whipped your own cream, it’s super simple. In a large bowl whip cream with electric beaters until soft peaks form. 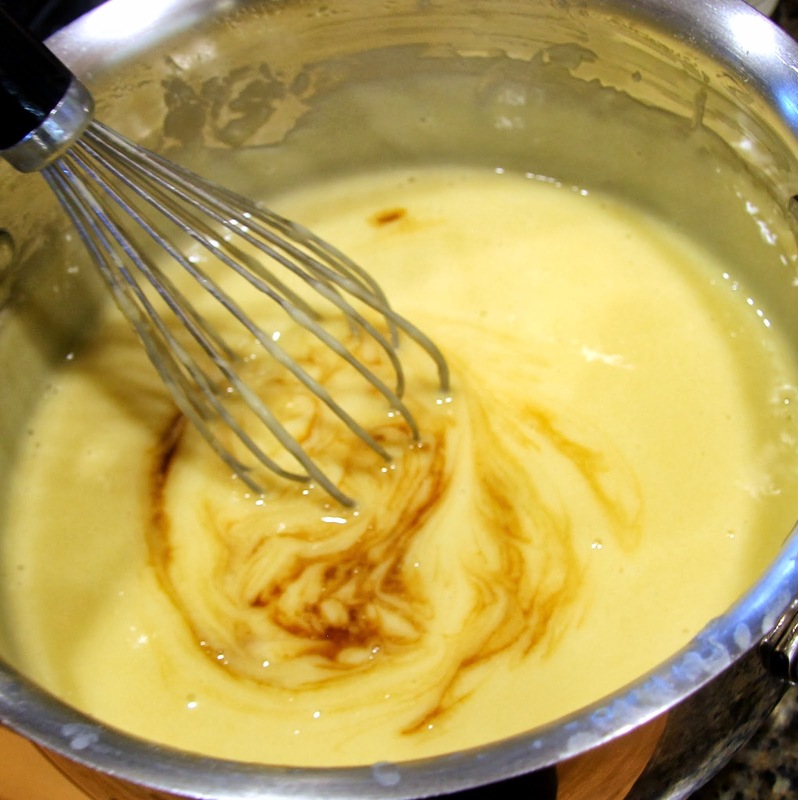 Add sugar and vanilla and whip until ingredients are combined and cream is forming stiff peaks. The colder everything is, the faster the cream will whip so chill your bowl if you think it’s necessary. I hope you have a relaxed, happy and delicious Thanksgiving!